1) Where explosionproof enclosures are being used the TMC must be installed with an approved pouring or compound sealing fitting. In Division 2 locations the TMC can be fitted directly to an enclosure which has no source of ignition in accordance with NEC/CEC requirements. 2) Glands with NPT entry threads are suitable for both Divisions and Zones. 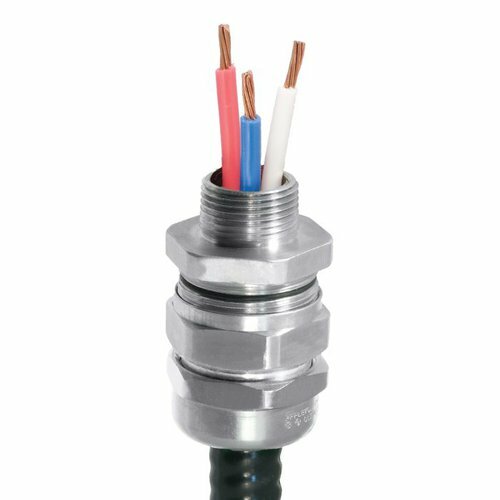 3) Glands with Metric entry threads are suitable for Zones only unless fitted with an approved NPT male adaptor in accordance with CEC requirements. CSAus Code of Protection Class II, Div 1 and 2, Groups E, F, and G; Class III, Div 1 and 2; Encl. Type 3, 4, 4X. cCSA Code of Protection Class II, Div 1 and 2, Groups E, F, and G; Class III, Div 1 and 2; Encl. Type 3, 4, 4X.